Dr Ersie Burke, Adjunct Research Associate in the School of Philosophical, Historical and International Studies at Monash University, will give a lecture on the Greek immigration experience in Venice during the period from 1498 to 1600, next Thursday, 3 September 2015, at the Greek Centre for Contemporary Culture, as part of the Greek Community of Melbourne’s seminar series of Greek History and Culture. People have always immigrated in search of better working and living conditions, to escape persecution, reconnect with family, or simply for the experience. In this lecture I look at the history of Venice’s Greek community during its formative years between 1498 – 1600, a period of unusually high immigration. I will talk about the establishment of new networks, and follow the immigrant’s transition from outsider to insider. I will relate personal stories to illustrate how people lived, worked, prayed and formed new social and communal networks. Ultimately this lecture aims to reconstruct the lives of the largest ethnic and Christian minority in early modern Venice and trace the journey of all immigrants, from foreigner to local. Ersie Burke is Adjunct Research Associate in the School of Philosophical, Historical and International Studies at Monash University. Her areas of interest are immigration history and the history of the Venetian Republic in the period 1450 – 1650. 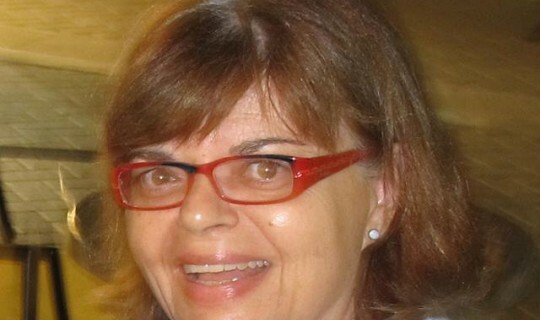 Originally trained as a secondary school teacher, she taught history at all levels, including HSC, VCE and IB in high schools in Melbourne and Thessaloniki. She was a member of the History Teachers’ Association of Victoria for many years where she worked to promote the teaching of History throughout the curriculum. In 2005 she completed her PhD at Monash University under the supervision of Prof. Bill Kent. In the Venetian archives she discovered an abundance of primary sources on the Greek community. Her doctorate examined Greek immigration to Venice between 1498 - 1600, the immigration process, the difficulties immigrants faced settling and integrating, and the nature of the Venetian social and political system that allowed and welcomed outsiders. She has published three school history texts in collaboration with colleagues: Aspects of the Past (1998), The Ancients (2000), Dreamtime to the Great War: Australian History to 1918 (2001). ‘Surviving Exile: Byzantine Families and the Serenissima 1453 – 1600’ (2014). Her book, The Greeks of Venice 1498-1600: Immigration, Settlement and Integration is due for publication in early 2016. The Greek Community of Melbourne and the organising Committee of the Seminars wish to thank the sponsors Dr Marinis & Mrs Maria Pirpiris and Mr Paul Laspagis.